When it comes to English society, a multi-layered society with hundreds of years of history behind it, becoming an icon requires excellence and success at the highest level of your profession. Not just any profession either, but one that has a profound impact on the lives of the English people. Such excellence is often, by default rewarded with wealth and by the English monarchy. That is the story of the life of Frank Lampard, who through football, has risen to become of one of England’s most respected men. His excellence on the pitch, both for club and country has brought joy and happiness for million in the football-crazed country. Frank Lampard’s life is an interesting one and learning about it is a fascinating read. Read below to learn more about the man who brought fame and class to his family’s name. Frank Lampard is an English hero, but on a deeper level, he is London’s hero – a man who was born and raised in Romford, London. He spent most of his best years in the city, playing for either West Ham United or Chelsea FC. He was born on the 20th of June, 1978 as the youngest child of his parents, Frank Lampard Sr and Pat Lampard, who had given birth to two daughters – Natalie and Claire – before him. When he was born, it was an entry into a family of footballers. His father, Frank Lampard Sr was a former professional footballer who plied his trade for West Ham United and became an assistant manager at the club after retirement. His uncle is one of English football’s most famous names – Harry Redknapp who had coached several clubs in English football. 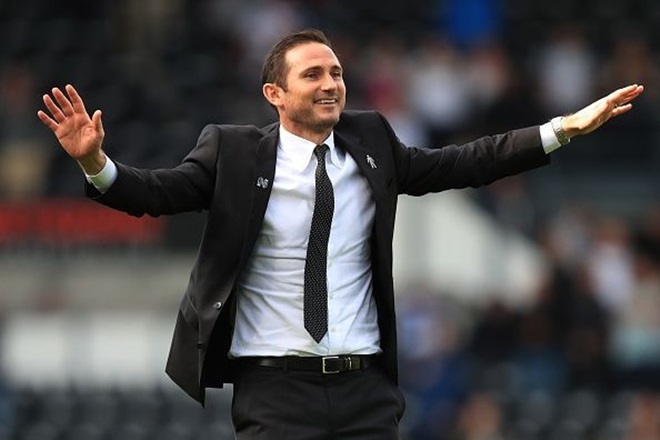 Therefore, for Frank Lampard, pursuing a career in football was a question of when and not if and it began with him as a youth team player for West Ham United, his father’s former team and his own hometown club. While he became a youth player for the team, Frank Lampard attended Brentwood School, where he first showed an intelligence that would characterize his career, graduating with eleven GCSEs, with multiple As, including one in Latin. When he signed his first professional contract with West Ham in 1995, it was the beginning of what would be a stellar career. He made his debut for West Ham in 1996 after he had been loaned out to Swansea City after he signed his professional contract for the 1995/1996 season. At Swansea, he scored his first professional goal. After he returned to West Ham, Frank Lampard became one of the mainstays of the team for the next five seasons, making a total of 187 appearances and scoring 39 goals during his time at the club. It was an early start to his career that showed he was a talented midfielder with a penchant for goals. It was a trait that was recognized by Chelsea Football Club who promptly paid £11 million for him. The signing proved to be a masterstroke from Chelsea. While he was at Chelsea, where he spent 13 years playing for the blue side of London, he played 648 times, scoring 211 times for the team. During that time, he won multiple team honors as well as individual honors, including the English Premier League title three times, the FA Cup four times the UEFA Champions League and Europa League once each. He won second place as the FIFA Player of the Year in 2005, Ballon d’Or Silver Award in 2005, Premier League player of the Year in 2005, among many others. After leaving Chelsea, where he left as a legend of the club, he joined Manchester City, spending one season at the club before joining New York FC, a club in the MLS and spent two seasons. In total, he played a total of 913 professional matches, scoring 274 goals. He officially retired on the 2nd of February 2017. He is currently the coach of England’s Championship side, Derby County. Having a long career with almost a 1000 matches to your name is an achievement in its self, but Lampard went further by adding numerous trophies both as a team player and as an individual. He reached the pinnacle of individual honors when he was honored as the second-best player in the world in 2005. He has also won two of football’s biggest trophies, the Premier League and UEFA Champions League, winning the former thrice. His football career earned him a national honor as an Officer of the Most Excellent Order of the British Empire in 2015. Frank is also an author with over 15 published books to his credit. Frank Lampard earned a lot of money as a superstar during his active playing days. As a professional player for a rich club, with huge salaries and lucrative brand endorsements, Frank Lampard was able to build a net worth of £41 million. Although his playing days are over, he is currently earning money as the manager of Derby County. Being a rich and famous footballer, Lampard has had a number of relationships. A couple of the notable ones include his engagement to Elen Rivas, a Spanish model. The relationship produced two daughters for the footballer, although the two never did get married. He started dating Christine Bleakley in 2009 and the two officially got married in 2015 and announced their pregnancy for their first child on May 2018.